I’ve been going to graphic design class after work over the last few weeks. It’s always fun to learn something new especially when it involves using those long lost creative muscles. As kids, learning new things is an exciting part of everyday life. Riding your bike without training wheels for the first time; exploring the wildlife living in your backyard; discovering Motown music at your grandparent’s place; experimenting with Japanese street fashion…on yourself. The list goes on. Some how that curiosity to learn new things slowly dissipates as the perils of work and adulthood take over. We don’t have time. We have more important responsibilities to tend to. We don’t see the value of indulging in a childhood dream. The list of excuses goes on. Playing around with how my Grandma AL logo should look for hours on the computer and photoshopping the grandpa in the last picture I took make me happy. 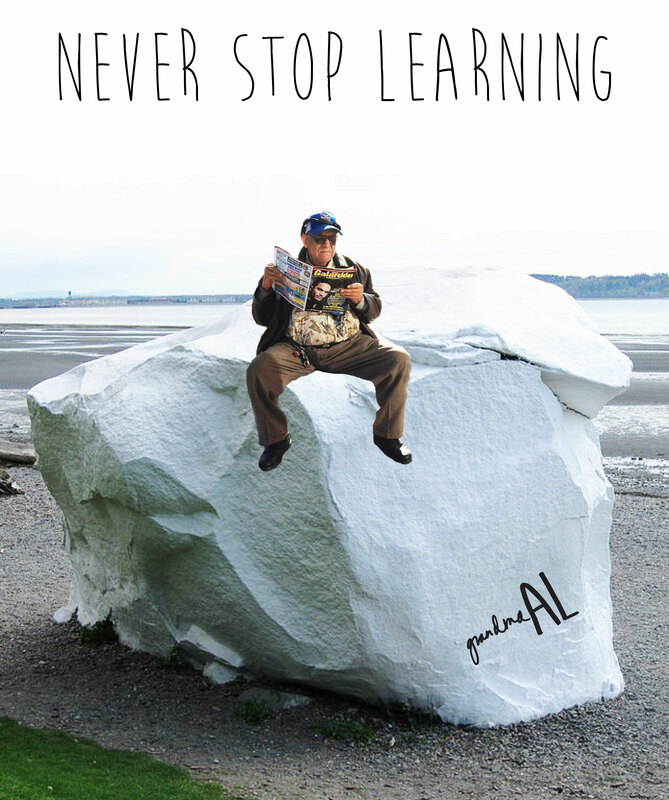 And for me, that’s enough of an excuse to never stop learning. Next Next post: Sink or swim?